Stephen Gibson uses qualitative analysis to understand Milgram’s studies – are they really ‘obedience’ experiments? 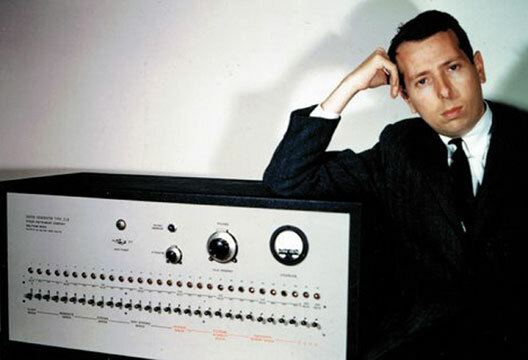 When he conducted his experiments on ‘obedience’ to authority in the 1960s, Stanley Milgram recorded the majority of his experimental sessions on audiotape. Despite the comment, extensions and critique generated over the years by Milgram’s studies, there have been surprisingly few attempts to use these recordings as the basis for secondary analysis. However, recent qualitative analysis of the archival materials points to some intriguing insights concerning the interactions that took place in the ‘obedience’ laboratory, and even suggests that we may have misunderstood the nature of the studies themselves: rather than demonstrations of people’s propensity to obey orders from an authority figure, they may in fact show just how ineffective the issuing of direct orders might be. The 10th anniversary of the Society’s Qualitative Methods in Psychology Section affords an opportunity to reflect on the place of qualitative research within the discipline. The Section has clearly been hugely successful – as soon as it came into being, its membership numbers made it the Society’s largest Section by some distance, a status it retains to this day. In drawing together scholars and practitioners from a diverse range of psychology’s subdisciplines, the Section has provided a forum for lively debate amongst individuals who may not otherwise have found themselves sharing the same conference floor. Similarly, it has been an important voice in making the case for qualitative methods at the heart of the disciplinary establishment over the last decade. Yet there is a danger on occasions such as this that one slips somewhat unthinkingly into celebratory mode. It is not uncommon to find accounts of qualitative methods in psychology that suggest that the discipline was dominated by a restrictive experimentalism for much of its history, and that it is only in recent decades that qualitative methods have begun to be accepted as part of psychology’s methodological toolkit. However, as Dennis Howitt points out in his splendid introductory text, the idea that, until relatively recently, ‘mainstream psychology was a quantitative monolith smothering any other perspective on what psychology should be...is a creation myth rather than a precise and historically accurate account of the dark days before qualitative psychology’ (Howitt, 2010, p.xvii; see also Wertz, 2014, for a recent historical overview). In my own subdiscipline of social psychology, the emergence of qualitative methods is often traced to the so-called ‘crisis’ literature of the late 1960s and early 1970s, which led to the development of approaches such as Harré and Secord’s (1972) ethogenics and Gergen’s (1985) social constructionism. Or sometimes it might be suggested that qualitative methods only really began to gain a foothold in the discipline with the advent of discursive and rhetorical perspectives from the late 1980s (see Augoustinos & Tileaga˘, 2012, for a recent retrospective). It is not to contest the impact of either of these developments to suggest that such accounts might stand in need of qualification as origin stories for qualitative methods in psychology. Even a cursory glance through many of the classics of the field highlights that qualitative research had an important place within the discipline in its North American heartlands some time before the ‘crisis’. Adorno and colleagues’ The Authoritarian Personality (1950), chiefly remembered for the F-scale, featured extensive use of material from interviews conducted with participants. Asch’s (1956) ‘conformity’ experiments, remembered as a demonstration of people’s overwhelming tendency to ‘go along with the group’, involved detailed post-experiment interviews designed to explore why people had behaved in the way they did. Indeed, Asch saw his experiments as a demonstration of the way in which individuals might resist pressures to conform. Milgram’s (1974) ‘obedience’ experiments again featured extensive follow-up interviews. In addition, Milgram also included short case studies of individual participants in his most detailed account of his research, and these featured direct quotations from transcripts of the experimental sessions themselves. For each of these classic studies, there are more detailed stories to be told concerning the ways in which the nuances of their authors’ messages have been re-packaged over the decades in textbook chapters and lecture theatres, but for present purposes it is sufficient to highlight the role played in each by qualitative methods. Clearly, then, things are not as straightforward as is often assumed. Nevertheless, it is arguable that the red-herring distinction between qualitative and quantitative methods is relevant here. Psychologists may have been using qualitative methods, but they weren’t staking a claim to be doing, say, interpretative phenomenology or social constructionism. When these researchers were conducting their interviews, they were treating them as windows on the psychological processes underpinning the behavioural phenomena they were studying, not as situated social actions designed to manage issues of accountability, stake and interest. The issue, then, is one of epistemology and methodology. So what happens if we adopt an approach to this classic work that is informed by more recent developments in qualitative research methodology? In my own work (Gibson, 2013a, 2013b, 2014), I have sought to develop a perspective on Milgram’s experiments informed by discursive and rhetorical psychologies (Billig, 1996; Potter & Wetherell, 1987). As is well known, Milgram used a cover story of a memory experiment to study people’s willingness to obey orders from an authority figure. In its most well-known variants, this involved a naive participant playing the role of ‘teacher’, delivering what appeared to be electric shocks to a ‘learner’ (in fact a confederate) as punishment for incorrect answers on a memory test. When the teacher appeared reluctant to continue, the ‘experimenter’ (another confederate) issued orders that the teacher continue. Such conditions produced obedience rates of between 47.5 per cent and 65 per cent (Milgram, 1974), where obedience was operationalised as delivering the highest voltage level on a scale rising from 15v to 450v in 15v increments. In the last five years or so there has been a growing body of literature examining the materials held in the Stanley Milgram Papers archive at Yale University. Scholars have used the materials to explore how Milgram piloted his experiments (Russell, 2011), how he constructed his film of the experiments (Millard, 2014; see also The Psychologist, August 2011), and to challenge his account of the studies on ethical (Nicholson, 2011), methodological (Perry, 2012) and theoretical grounds (Haslam et al., 2015). In my own research, I have sought to take advantage of what I still find to be the most fascinating aspect of the archives: the hundreds of audio recordings of the experimental sessions themselves. These have received relatively little attention from researchers seeking to understand Milgram’s experiments until very recently (see Modigliani & Rochat, 1995, for a notable exception). Exploring a sample of these recordings has led me in two directions. First, the experiments can be understood as occasions for rhetoric and argumentation. As participants attempt to argue their way out of the experimental situation, the experimenter seeks to provide arguments for participants to continue. Second, and relatedly, the recordings show that the level of work required by the experimenter in trying to elicit ‘obedience’ goes some way beyond what might be assumed from a straightforward reading of Milgram’s accounts of the studies. This leads to a consideration of the ways in which we need to understand Milgram’s laboratory as a particular social context. As an example of how these two strands interrelate and overlap, it is worth briefly considering an excerpt from one of the experimental sessions, from condition 2, the voice-feedback condition, which uses the basic procedure outlined above. 6 he wants to go on? 9 er, we must continue. 21 on unless he says all right. 19 more. I refuse to go on, let me out! 35 not that essential for me. 38 willing enough to continue. 46 the man hollering in there to stop. It is notable that it is the participant’s attempts at arguing his way out of the experiment that occasions the experimenter’s leaving the room. At lines 4–6, 12–13 and 20–21, the participant sticks to his rhetorical strategy of refusing to continue unless he can receive assurances from the learner himself. It is also apparent that the experimenter appears much freer to improvise than is often assumed to be the case. The major procedural departure of leaving the room is followed by further attempts to rhetorically invoke the apparent visit to the learner in an attempt to convince the participant that all is well and that he should therefore continue (lines 23–25; 37–38). So, not only is the participant engaged in mobilising rhetorical strategies in an attempt to draw the experiment to a close, so the experimenter is building arguments for the continuation of the experiment (see Gibson, 2013a, 2013b for fuller analyses of this and related extracts). In one sense, we shouldn’t be surprised that standardisation as conventionally understood simply wasn’t possible. There is enough work in the sociology of scientific knowledge on everything from standardised survey interviewing to particle physics that problematises the conventional stories of scientific method to be found in published reports (e.g. Maynard & Schaeffer, 2000). But what this tells us about Milgram’s experiments themselves is that the experimenter has to do far more than simply issue orders to try and convince people to keep delivering electric shocks. So, whatever else may be going on in these experiments, it looks like the traditional assumption that participants were obeying orders from the experimenter simply doesn’t stand up to scrutiny. Indeed, there are now sufficient lines of convergent evidence to suggest that this issue should no longer even be a matter of debate. Some scholars have identified prod 4 (‘You have no other choice, you must continue’) as particularly crucial to accounts of the experiments which see them as demonstrations of obedience (e.g. Miller, 2009). Yet analysis of the use of the prods in the experiments suggests that prod 4 is actually rather ineffective: Milgram’s participants typically didn’t continue after receiving prod 4 (Gibson, 2013a). Other recent work from contrasting theoretical perspectives (e.g. Burger et al., 2011; Haslam et al., 2014) also points in a similar direction: Insofar as psychologists have understood obedience as a form of social influence elicited in response to direct orders, this is simply not what is happening in these experiments. There are, of course, conceptual debates to be had about the nature of obedience, and further analyses to be done, but one thing seems clear at this point: we simply can’t keep referring to Milgram’s obedience experiments. To do so is to perpetuate a myth that simply doesn’t stand up to scrutiny. This raises a further spectre – that for 50 years, we have held these experiments as exemplars par excellence of the willingness of ordinary people to obey direct orders, when in fact they show precisely the opposite: the failure of direct orders as a means of effecting social influence. Such analyses need not be seen as a challenge to the experimental method, and contrary to the stark either/or way in which methodological debate is often framed, they do not rule out experiments as valid tools for knowledge construction. Rather, such an engagement with the discourse and rhetoric of experimentation may well be useful in conducting more nuanced and context-sensitive experiments. After all, experiments are fundamentally discursive encounters in which one party’s attempts to exercise power in defining a situation are responded to in various ways by another party (Reicher, 1997). If we attempt to analyse what happens in experiments without exploring the use of language, we risk missing the social processes that should be at the heart of the study of social psychology. Note: The extract from participant 0208 is reproduced by permission of Alexandra Milgram. Adorno, T.W., Frenkel-Brunswik, E., Levinson, D.J. & Sanford, R.N. (1950). The authoritarian personality. New York: Harper & Row. Asch, S.E. (1956). Studies of independence and conformity: A minority of one against a unanimous majority. Psychological Monographs: General and Applied, 70, 1–70. Augoustinos, M. & Tileagă, C. (2012). Twenty five years of discursive psychology. British Journal of Social Psychology, 51, 405–412. Billig, M. (1996). Arguing and thinking: A rhetorical approach to social psychology (2nd edn). Cambridge: Cambridge University Press. Burger, J.M., Girgis, Z.M. & Manning, C.C. (2011). In their own words: Explaining obedience to authority through an examination of participants’ comments. Social Psychological and Personality Science, 2, 460–466. Gergen, K.J. (1985). The social constructionist movement in modern psychology. American Psychologist, 40, 266–275. Gibson, S. (2013a). Milgram’s obedience experiments: A rhetorical analysis. British Journal of Social Psychology, 52, 290–309. Gibson, S. (2013b). ‘The last possible resort’: A forgotten prod and the in situ standardization of Stanley Milgram’s voice-feedback condition. History of Psychology, 16, 177–194. Gibson. S. (2014). Discourse, defiance and rationality: ‘Knowledge work’ in the ‘obedience’ experiments. Journal of Social Issues, 70, 424–438. Harré, R. & Secord, P.F. (1972). The explanation of social behaviour. Oxford: Basil Blackwell. Haslam, S.A., Reicher, S.D. & Birney, M.E. (2014). Nothing by mere authority: Evidence that in an experimental analogue of the Milgram paradigm participants are motivated not by orders but by appeals to science. Journal of Social Issues, 70, 473–488. Haslam, S.A., Reicher, S.D., Millard, K. & McDonald, R. (2015). ‘Happy to have been of service’: The Yale archive as a window into the engaged followership of participants in Milgram’s ‘obedience’ experiments. British Journal of Social Psychology, 54(1), 55–83. Maynard, D.W. & Schaeffer, N.C. (2000). Toward a sociology of social scientific knowledge: Survey research and ethnomethodology’s asymmetric alternates. Social Studies of Science, 30, 323–370. Millard, K. (2014). Revisioning obedience: Exploring the role of Milgram’s skills as a filmmaker in bringing his shocking narrative to life. Journal of Social Issues, 70, 439–455. Miller, A.G. (2009). Reflections on ‘Replicating Milgram’ (2009). American Psychologist, 64, 20–27. Modigliani, A. & Rochat, F. (1995). The role of interaction sequences and the timing of resistance in shaping obedience and defiance to authority. Journal of Social Issues, 51, 107–123. Nicholson, I. (2011). ‘Torture at Yale’: Experimental subjects, laboratory torment and the ‘rehabilitation’ of Milgram’s ‘Obedience to Authority’. Theory and Psychology, 21, 737–761. Perry, G. (2012). Behind the shock machine: The untold story of the notorious Milgram psychology experiments. Brunswick, Australia: Scribe. Potter, J. (2012). Re-reading Discourse and Social Psychology: Transforming social psychology. British Journal of Social Psychology, 51, 436–455. Reicher, S. (1997). Laying the ground for a common critical social psychology. In T. Ibáñez & L. Íñiguez (Eds.) Critical social psychology (pp.83–94). London: Sage. Wertz, F.J. (2014). Qualitative inquiry in the history of psychology. Qualitative Psychology, 1, 4–16.